Choose from the following products:Certified Organic Vegetables Our Salad Greens: 100% Natural. No G.. 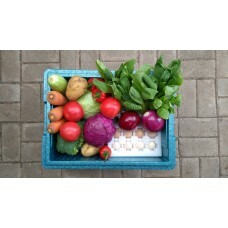 Please return your CSA box in a clean condition without rubbish or odor. Only put your clean plastic..